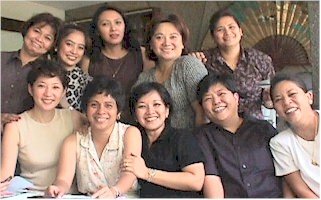 Saint Paul College of Manila High School Class of 1975 Foundation, Inc. (c)1999. All rights reserved. 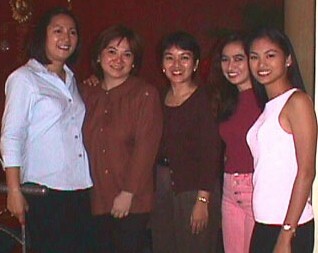 Working Lunch at Gerry's Grill, June 99. 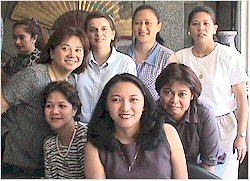 Attending were Pita Revilla, Dettie and Dolly Tesoro, Sunny Escareal, Gigi Sehwani, Rocky Yupangco, Myrna Soriente, Janette San Juan, Pinky Marquez, Malen Hernandez, Yambi Yambao, Mae Cendana, Laurie Manalo, Daisy Santillan, Zamby Arnaiz. 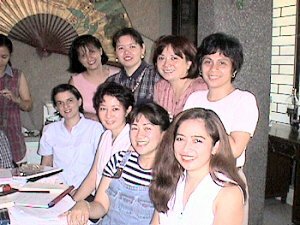 A lot of meetings were held at Malu's Magallanes home, including the ones on the right when Chona Matoza (vacationing from Switzerland), Marilou Dionisio (from Abu Dhabi UAE), and Chona Dizon (from Bharain) were in town (May 99). Left: Beth Martin (a Tokyo resident) made it to this one...(May 99). Bottom photos were taken on 17 Mar 1999. Above right: It's Bb Pilipinas '99 Miriam Quiambao (Miss Universe 1st runner-up!) with Dada Paz, Malu Santos, Sunny Escareal, and Mae Cendana during the celeb-studded grand opening of Panino, a fine Mediterranean restaurant owned by Dada and family. The statuesque Miriam was actually standing on a step lower than everyone else... Dada, her chef brod-in-law, sis Gina, hubby Dan, Mae and Malu pose in front of the restaurant. 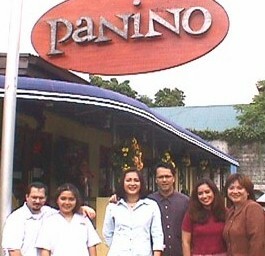 Panino is located at 38 Sct Esguerra (old Bohol Ave). 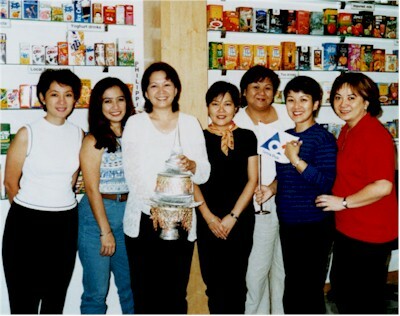 Above: A Dec 99 meeting was at a Tetra Pak conference room, thanks to Rocky Yupangco (the firm's Sales and Environment Manager). Enjoying the facility tour afterwards were Zamby, Mae, Lia, Beth R, Sunny and Malu. Rocky, a staunch recycling advocate, is showing an urn made from Tetrabricks. Fine Mediterranean dining. 38 Sgt Esguerra (Bohol Ave, near ABS-CBN complex), QC. Owned and managed by Dada Paz and family. 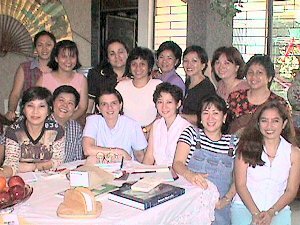 PAULINIAN CARE AND SHARE, Dec 99. 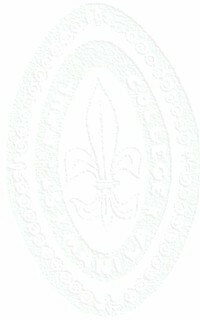 PHILIPPINE GRAND REUNION, May 99.